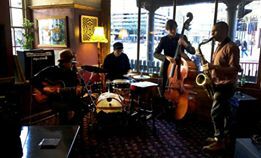 The core of the band comprise of Guitarist and singer Joseph Trudgeon, Drummer Steve Fry and Tenor Saxophonist Greg Sterland. 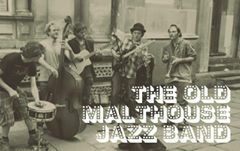 Joining them for this show will be west country trad jazz regular Mike Kennedy of the Black Cat Jazz Band and the Jazzola 5 on Double Bass, and Feliks Tabis of the Paris Jazz Café Swing band on Sax and Violin. They’ll be playing a range of music from the 1860s to the 1940s and hope you will enjoy their take on some old favourites and some less familiar melodies .